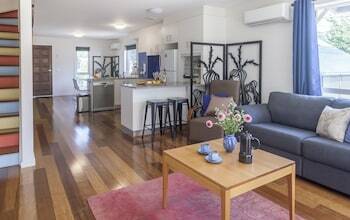 Located in Dickson, One of a Kind Apartments is in a shopping district, within a 10-minute drive of Canberra Centre and Australian War Memorial. Featured amenities include laundry facilities and a library. Free self parking is available onsite. Located in Harrington, ibis Styles Harrington is minutes from Harrington Waters Golf Course and close to Harrington Lookout. Free self parking is available onsite.